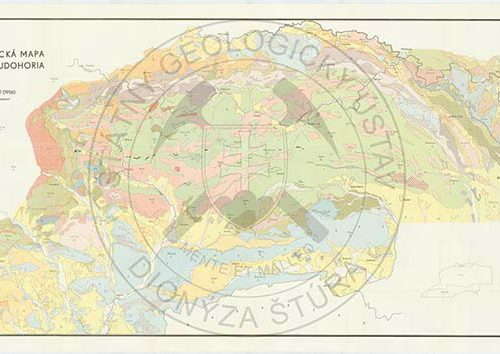 The Charter of the State Geological Institute of Dionýz Štúr states that the ŠGÚDŠ is an organization entrusted with the performance of the geological survey of the Slovak Republic, and which, among other things, compiles the geological maps and text explanatory notes to them. The Institute has the only right and obligation to publish them. 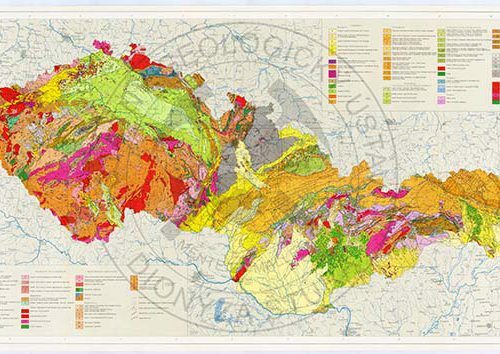 The geological maps and text explanatory notes thereto represent the content and expertly extensive works of monograph nature, which stand outside the interest of the private sector. 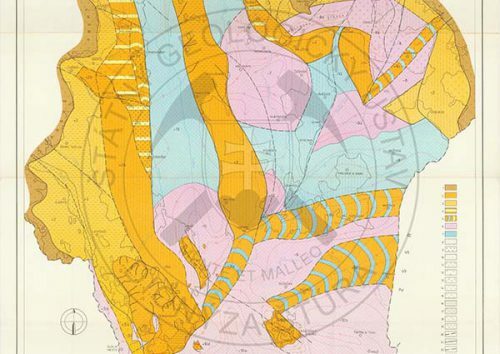 Published geological maps never belong to the commercial sphere of the geological works. They do not constitute a direct financial profit. Their importance is comprehensive with the impact upon the development of society as a whole and the National Economic Strategy. 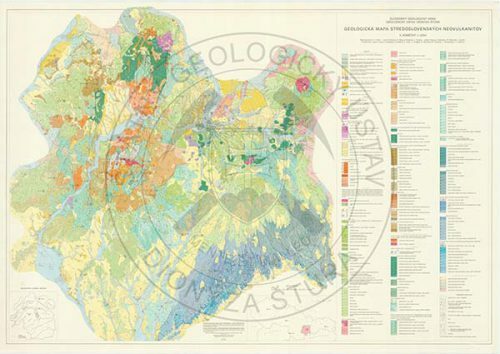 Our overview deals with not only the maps published by our Geological Institute. 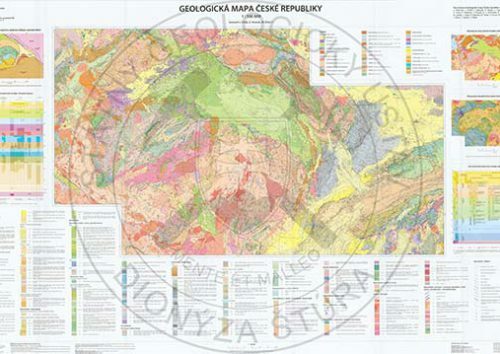 Therein are also the geological maps of the territory of Slovakia in the context of that-time Czechoslovakia, compiled in cooperation with our employees or on the basis of their mapping documents during the period of the first decades since the inception of the Institute. 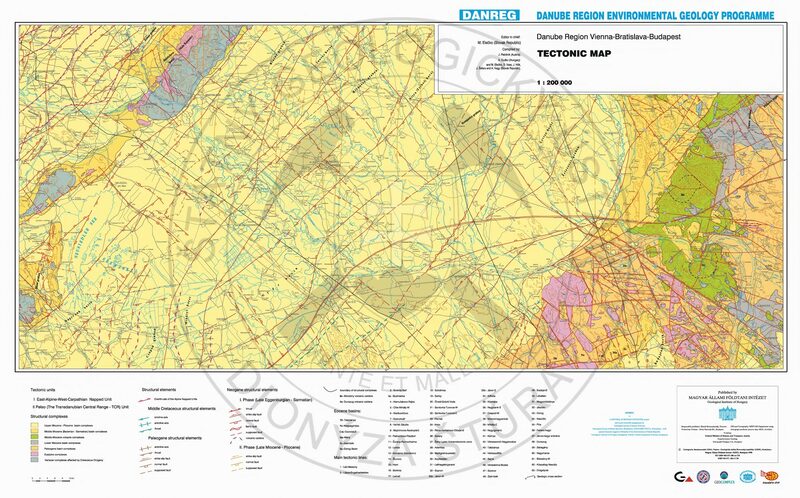 (see Map Server on www.geology.sk), for example, the hydrogeological, engineering geological, hydrogeochemical, geochemical, geophysical ones, the maps of raw mineral deposits, geological-educational maps, etc. In spite of the unfavoured situation during the World War II, the Geological Institute developed, in addition to scientific activities, the publishing of works, as well. 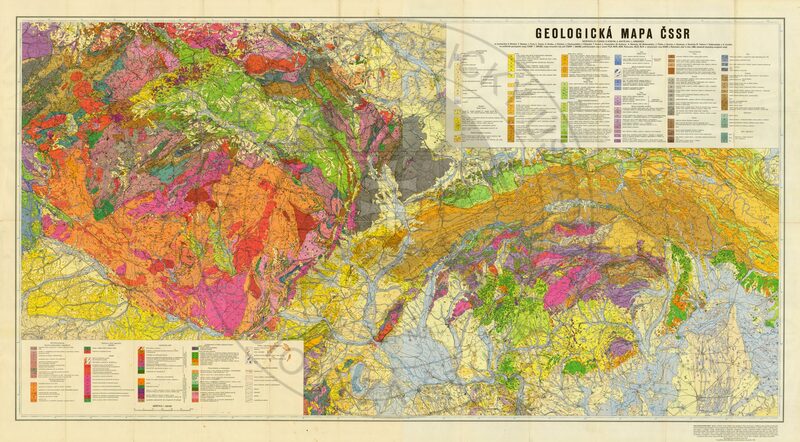 There were compiled and published detailed geological maps in the scale 1: 25 000 – map sheets Žilina (Andrusov & Kuthan, 1943, with text explanatory notes issued by the same authors, 1944), Zlatá Baňa (Kuthan, 1943) and prepared for publishing sheets Rajec (Andrusov & Kuthan, 1946) and Zliechov (Maheľ & Kuthan, 1947). 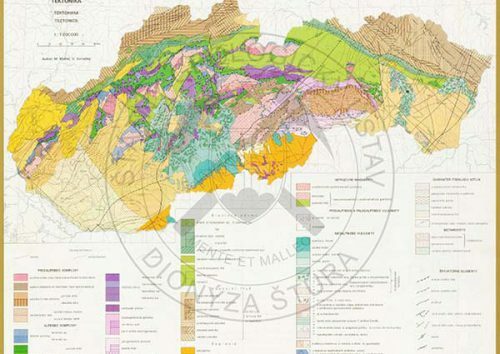 In the 50ties there were published geological maps in the scale 1: 25 000 of the sheets of Považská Bystrica (Andrusov, 1951) and Bytča (Andrusov, 1958). 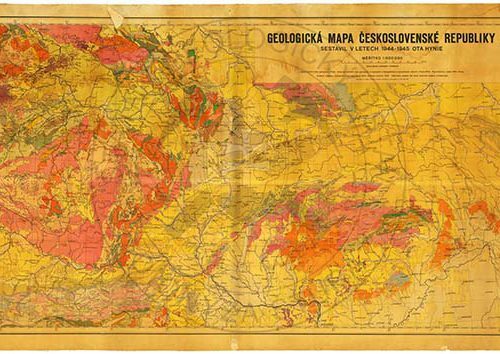 In the same period Hynie (1945), using also unspecified documents of Slovak geologists, compiled the first ever geological map of the whole territory of Czechoslovakia in the scale 1: 500 000. 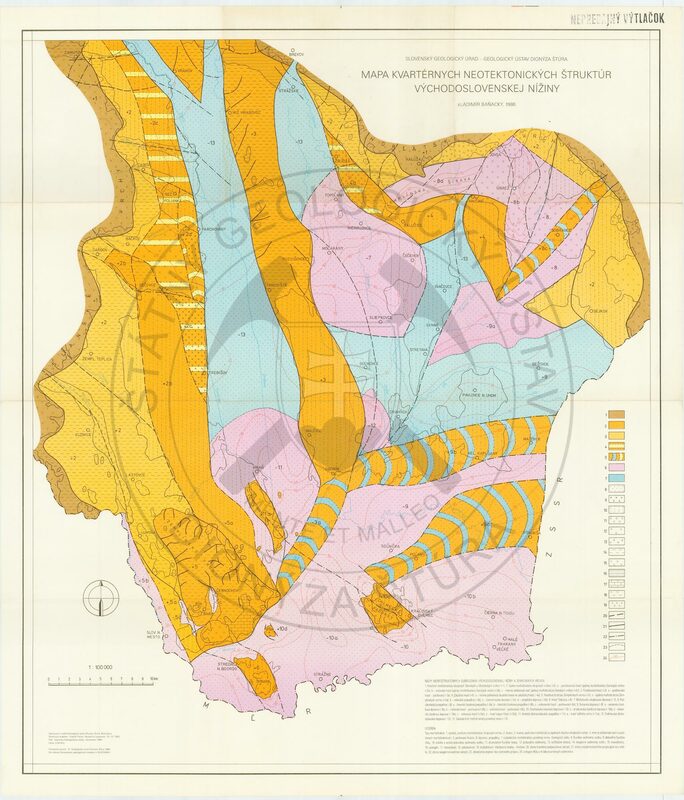 In 1956 the team of authors compiled a comprehensive geological map of the Spišskogemerské rudohorie Mts. (Bystrický et al.) in the scale 1: 100 000, rich in raw minerals. 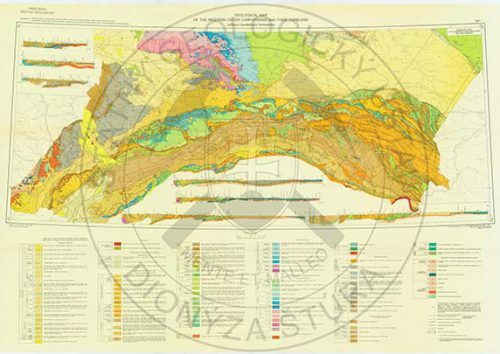 On the occasion of the presentation of work the geologists of Czechoslovakia at the International Geological Congress in Copenhagen, there was released by printing Tectonic map of Czechoslovakia (Buday et al., 1960). in the scale 1: 1 000 000. In 1966, it was supplemented by (Biely et al., 1966a) with the Geological map of Czechoslovakia (Biely et al., 1966b). 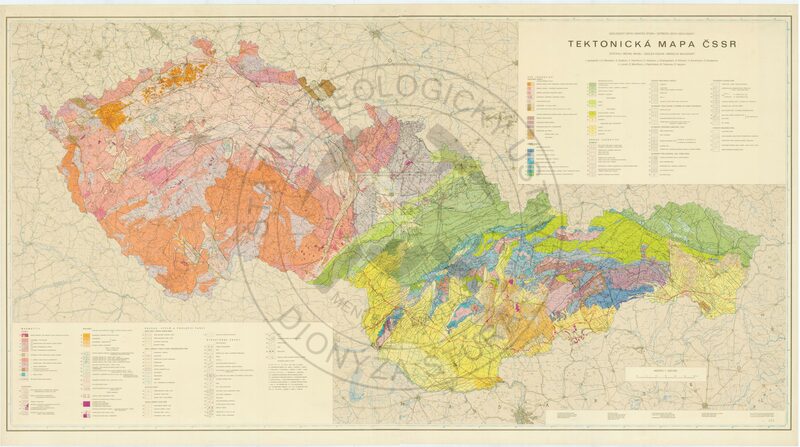 Along with the Map of Quaternary and weathered cover of the same scale, compiled by Žembera using also documents of the Slovak geologists (1966), and the other thematic maps, they became a part of the Atlas of geological maps of Czechoslovakia in the scale of 1: 1 000 000, which was issued in 1968. In the 50-ties of the previous century the work effort of scientific and professional staff of the Institute was fully concentrated on the compilation of an unique map work within Europe – exposed (without Quaternary cover) geological map of Czechoslovakia in the scale1: 200 000 and related text explanatory notes to individual sheets (Figure 1, Table 1). 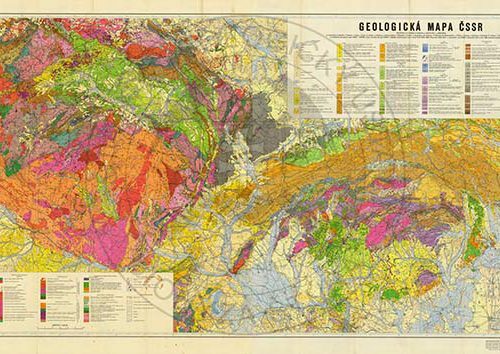 For the first time, at that time the most detailed cartographical was published as a depiction of the whole territory of Czechoslovakia, enriched in the third dimension – geological sections. In this unique work participated geologists in their respective fields, representing the then leaders in Bohemia, Moravia, Silesia and Slovakia. Fig. 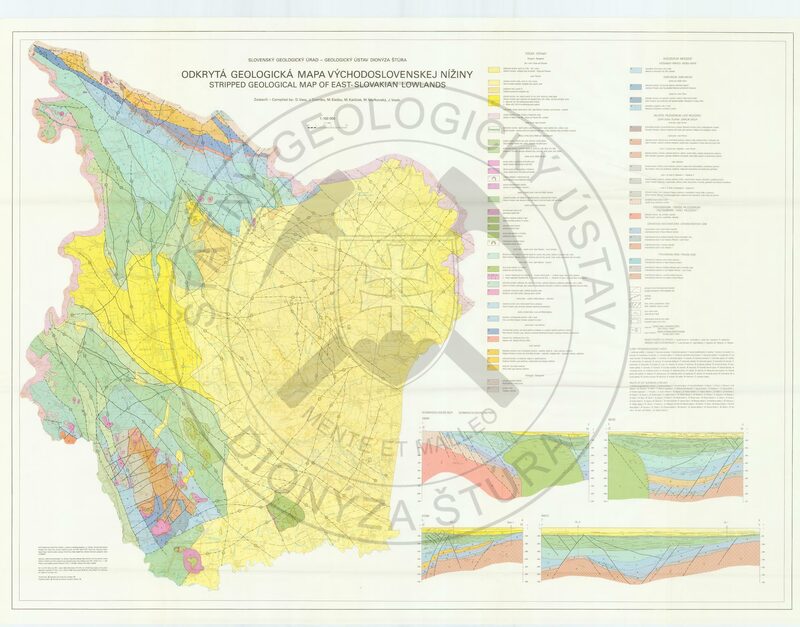 1 Map sheet layout of the first edition of general geological maps of Czechoslovakia 1 : 200 000, part Slovakia (compiled by Nagy, 2010). 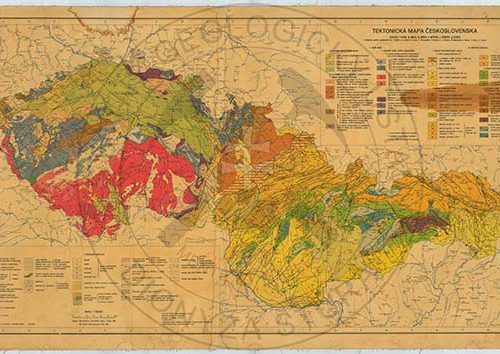 From the text explanatory notes to the individual map sheets of geological maps there were compiled two-volume monographs of regional geology, separately for the Czech Massif and the Western Carpathians (Buday et al., 1967; Maheľ et al., 1967). Tab. 1 Geological maps 1 : 200 000 and text explanatory notes to them depicted on the that-time map sheet layout (compiled by Nagy, 2010). 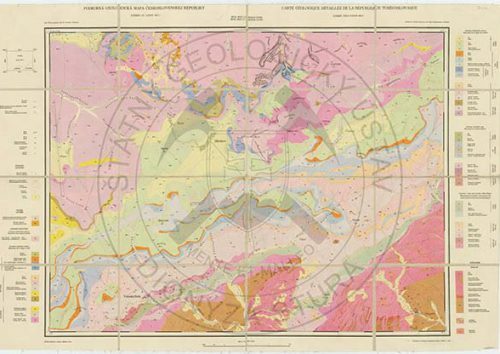 In 1967, on the occasion of the World Geological Congress organized in 1968 in Prague, there was published Geological map of Czechoslovakia in the scale 1 : 500 000 (Fusán et al. ), in the English version, as well. 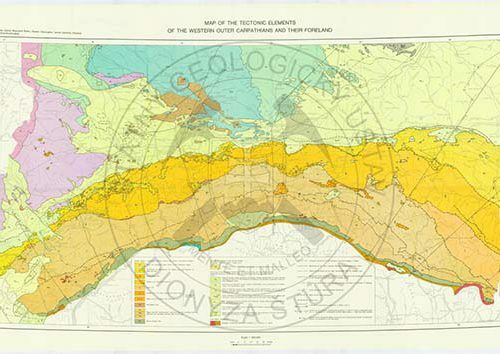 When compared to the General Geological Map 1: 200 000 it was enriched in Quaternary sediments depiction. In the context of progressive beliefs of geologists that the geology has no limits and crosses the borders of states, it has intervened even beyond the borders of the then Czechoslovakia. Already in the course of the works on the above maps, the geological mapping has continued in more detailed scales. In contrast to the territories of Bohemia, Moravia and Silesia, where the geological maps were published by the topographical sheets, it was decided in the Slovak Republic territory to prepare the geological maps at a scale of 1: 50, 000 conform to the regions. As it has turned out over the coming years, it was a prudent decision. The geological maps of this concept show a clearer and more comprehensive geological setting and adjacent sedimentary basins. 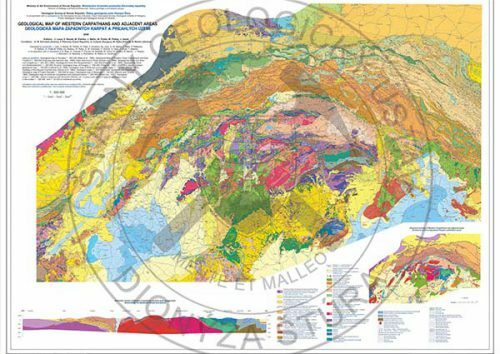 The compilation of regional geological maps at scale 1: 50 000 is the essential part of the work of the field research geologists. So far, it has been covered approximately 90% of the territory of the Slovak Republic by maps published in 47 regions (Figure 2, Table 2). Fig. 2. 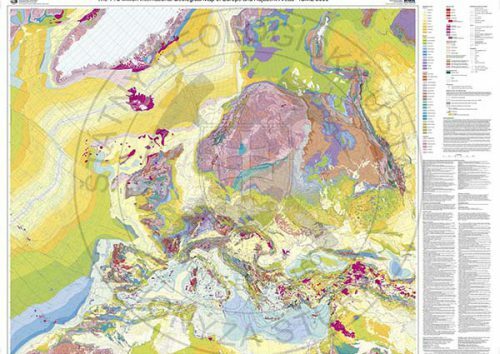 Contours of up-to-now published regional geological maps 1 : 50 000 (compiled by Nagy and Martinský, 2011). Whereas the geological structure of the territory doesn’t respect the borders of the countries, it is important to compile and update them along with the surrounding countries geologists and in particular to update the unified cartographical image. 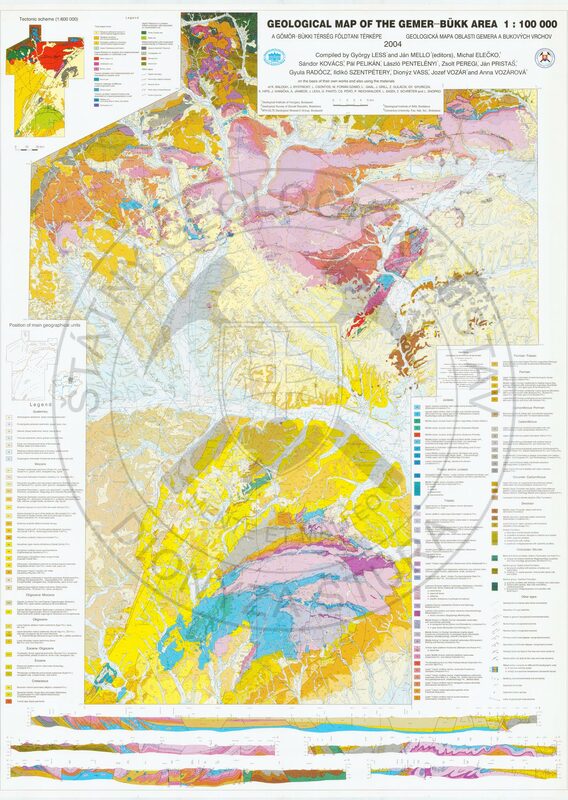 Thanks to good cooperation and personal contacts of the geologists of the Institute there have been compiled and published numerous geological maps of various scales, listed below. 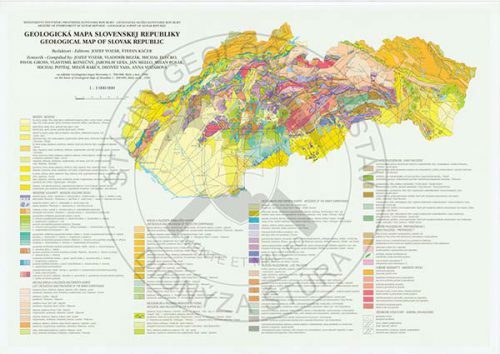 In cooperation with the Polish geologists the geological map of the Tatra Mountains in the scale of 1: 50 000 (Nemčok et al., 1994) was compiled. Tab. 2 Regional geological maps 1 : 50 000 and text explanatory notes to them (compiled by Nagy, 2011). Each geological map, depending on the complexity of the geological setting, improving and application of novel auxiliary geological sciences and the overall evolution of knowledge, becomes morally and scientifically obsolete after about 15 years (Nagy et al., 2010). 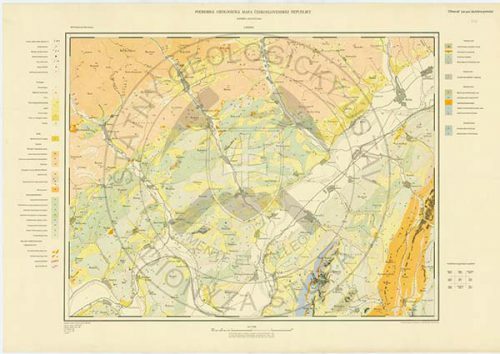 Therefore, after 24 years of its issuing, the geological map of Tríbeč 1: 50 000 (Biely, 1974), was treated by modern methods (Ivanička et. al., 1998), and the difference is noticeable even to the layman. Thanks to collected scientific knowledge and the support by the founder (Ministry), the ŠGÚDŠ researchers have built a modern updated edition of the in the past published regional geological maps of the Spišsko-Gemerské Rudohorie Mts. (Bajaník et al., 1984 › Grecula et al., 2009), the Small Carpathians (Maheľ & Cambel, 1972 › Polák et al., 2011), Eastern part of the Nízke Beskydy Mts. (Nemčok, 1990 › Kováčik et al., 2011) and the Záhorská nížina Lowland (Baňacký & Sabol, 1973 › Fordinál et al., 2012). 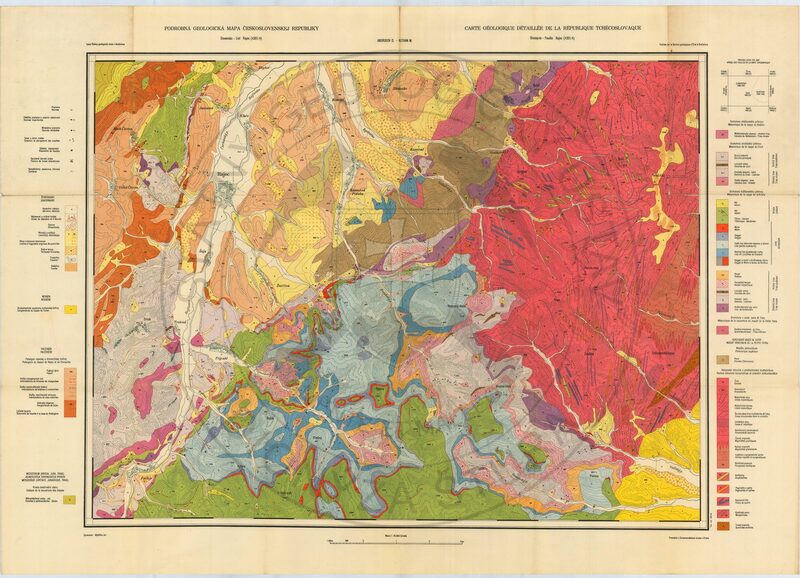 In addition to the works of regional geological maps there were compiled and published also the maps of other scales, either individually or as part of the larger map files of varying purpose. 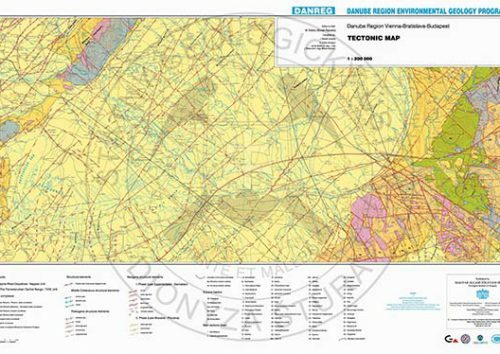 As a rule, the regional geological maps published in the scale 1: 50 000 are compiled in interim scale 1: 25 000 topographical map documents. The manuscripts are part of the final reports of the explanatory notes delivered in accordance with the legislation in to archive of geological reports – Geofond in Bratislava. Their raster images can be found on the website of our Institute in the part Geofond – Archív. 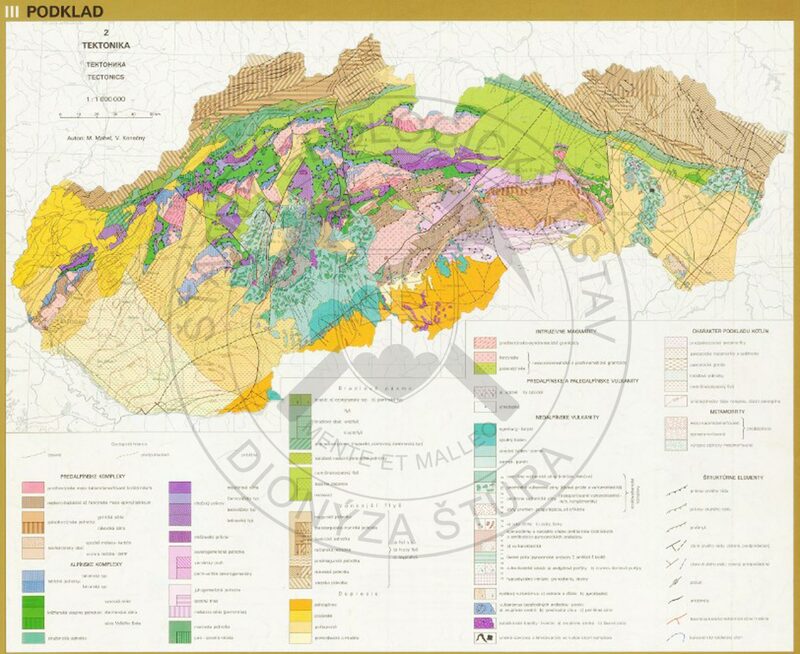 In the second half of the 1980s of the previous century there were compiled and published, as an interim release, 10 sheets of basic geological maps including slope deformations and the legend Tab. 3.. At a time when a number of the regions covered by the basic geological maps were missing, it was a feat anticipating the new challenges coming up. However, since the publication of those geological map sheets this activity did not continue further. Tab. 3. Basic geological maps 1 : 25 000 (compiled by Nagy, 2010). 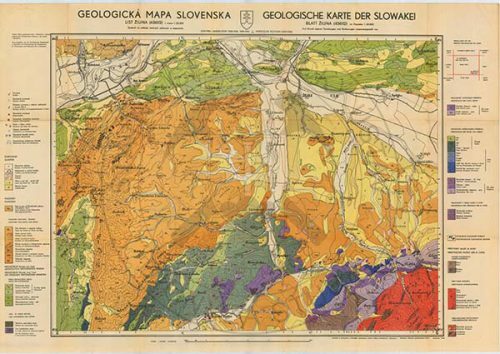 Currently, thanks to the work of many generations of the Slovak geologists, favourable conditions have been created for the compilation and publication of geological maps of the 1: 25 000 scale (e.g. around conurbations, smaller self-government units or areas with anticipated constructions of various kind). 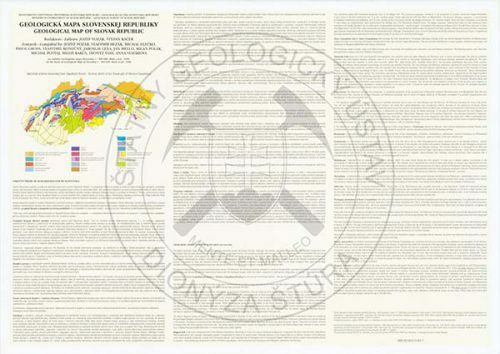 An example of a detailed Geological map of Bratislava and surroundings at scale 1 : 25 000 (Vaškovský et al., 1988, in Slovak), compiled upon the order of the then Municipality Office of the City of Bratislava. 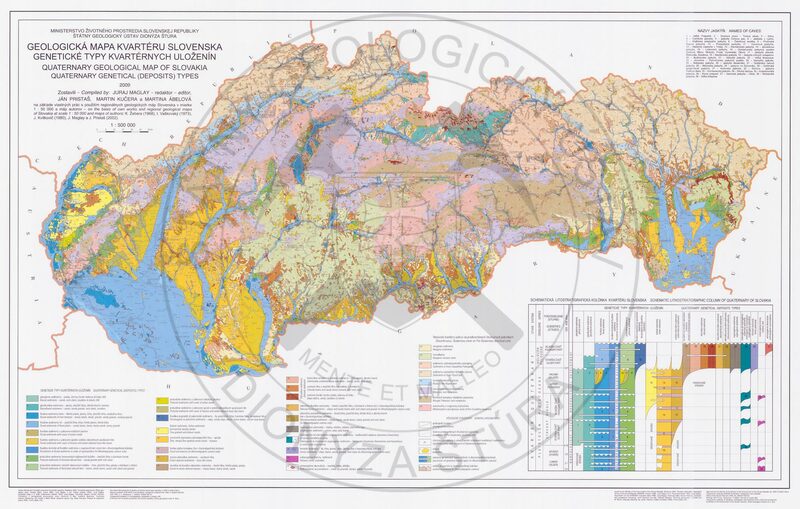 Geological maps of the scale 1: 100 000 were ordered by the society as a whole or they were the result of cross-border cooperation in international projects. In 1981 (Vass et al.) 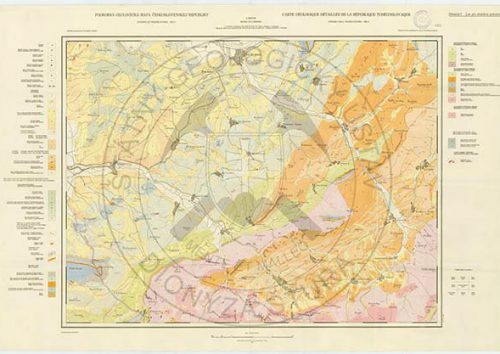 there was published Uncovered Geological Map (without Quaternary Cover) of the East-Slovakian Lowland. It provided a holistic view on the Neogene fill and its tectonic failures. The data for its compilation were retrieved from the evaluation of that-time oil drilling exploration. Map of Quaternary neotectonic structures of the East-Slovakian Lowland (Baňacký, 1986). of the same scale followed up. 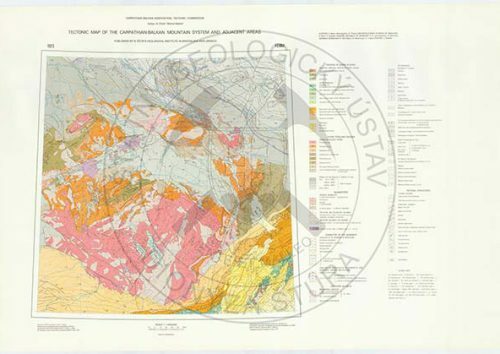 For the sake of overview of an important ore-rich region there was compiled and published the Geological Map of Central Slovakia Neovolcanites along with general scheme of formations and complexes (Lexa et al., 1984). The text explanatory notes to it contain a monograph by Konečný et al. (1983). In 2000, in the scope of the atlas of maps of 1: 100 000 scale and explanatory texts (Czsázár et. 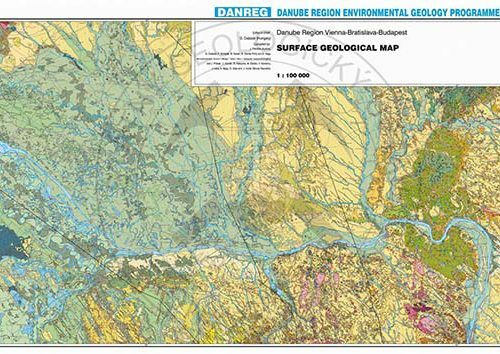 al., 1998) there was published a Geological Map of the Region of DANREG (Danube Region Environmental Geology Programme) depicting the Danube area in Austria, Hungary and on our territory. 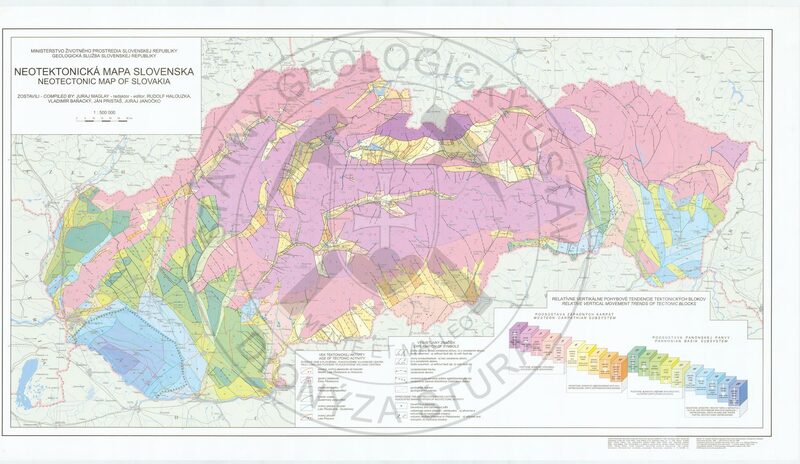 Along with colleagues from Hungary a map of the geologically very interesting tourist area of the region Gemer – Bükk (Less and Mello et al., 2005) was issued. Fig. 4 Map sheet layout of a new edition of general geological maps of the Slovak Republic 1: 200 000 (compiled by Nagy, 2010). 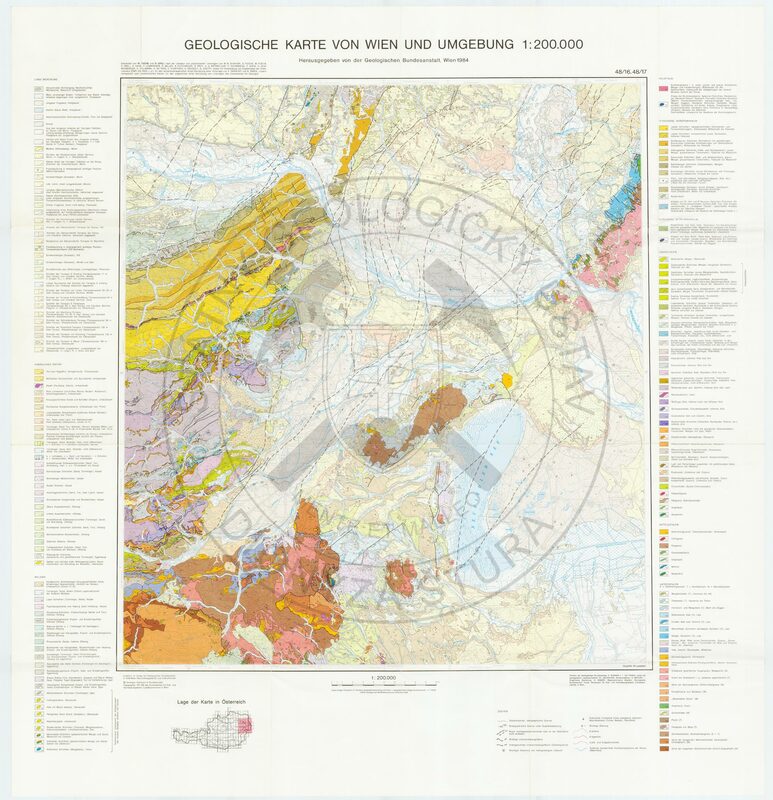 In the compilation of the geological map sheet Vienna (Fuchs & Grill, 1984). 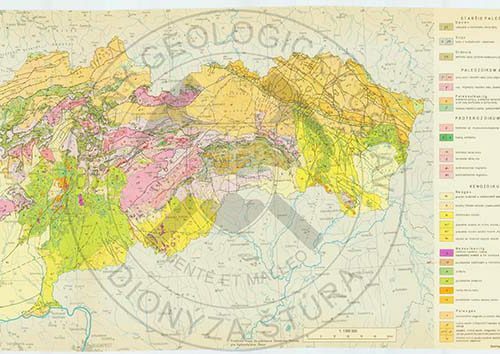 geological map documents of the SGIDŠ researches (Baňacký & Sabol, 1973) was used. In the framework of the aforementioned international cooperation with Austria and Hungary (DANREG) there were published Tectonic Map (Elečko et al., 1998) and Neotectonic map (Halouzka et al., 1998). 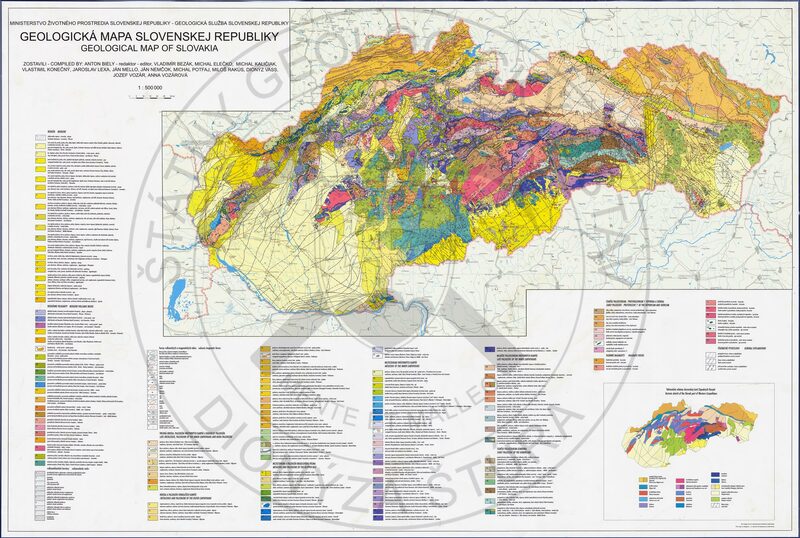 Currently the most significant achievement in the geological mapping is the new edition of general geological map of the Slovak Republic in the scale 1: 200 000 (Bezák et al., 2008) and brief text explanatory notes to it (Bezák et al., 2009), which were issued after 44 years since publishing of the first edition (Figure 1, Table 1). The maps represent a synthetic and comprehensive piece of work; in their compilation mainly the geologists of our Institute have been involved; however the geologists of the Geological Institute of the Slovak Academy of Sciences, and of the Department of Geology and Palaeontology at the of Faculty Natural Sciences of the Comenius University have participated, as well (Figure 4, Table 4). Tab. 4. 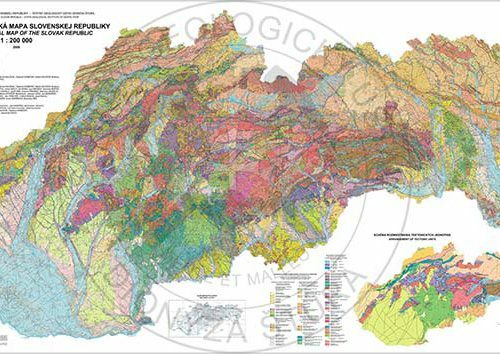 The map sheets of the new edition of general geological maps of the Slovak Republic 1: 200 000 (compiled by Nagy, 2010). 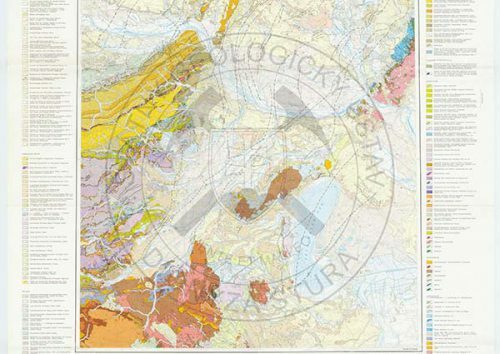 As a response to the increasingly growing requirements for an overview of Quaternary cover distribution across the whole territory of Slovakia, in which the widest range of human activities are taking place, like agriculture and construction, the researchers of the Institute are currently compiling a geological map of the Quaternary of Slovakia in the scale of 1: 200 000. 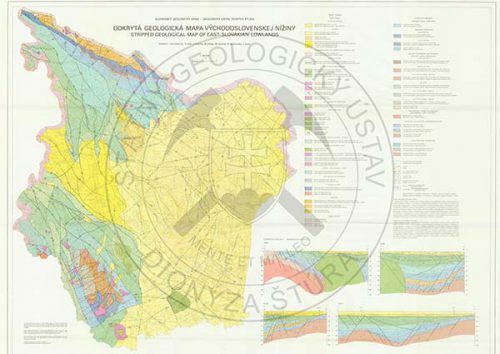 The first geological map in the scale 1: 500 000 from the territory of Slovakia, compiled and published by our Institute after 1968, was the Geological Map of the Quaternary of Slovakia (Vaškovský, 1973), which depicted the that time knowledge about the 2-D distribution of genetic types of the Quaternary deposits. 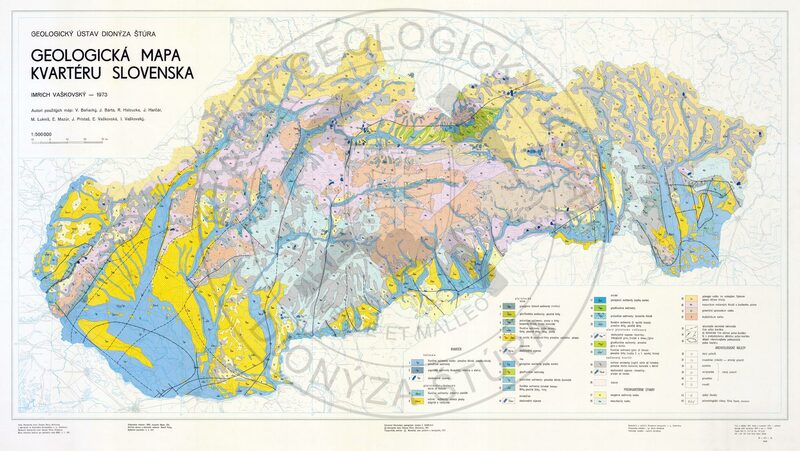 The value-added to this map was an extensive monograph The Quaternary of Slovakia (Vaškovský, 1977). The following published map of this scale, included in the Atlas of the Slovak Republic (Mazúr & Jakál et al., 1980), was the map Geology (Fusán et al.) which is the first SGIDŠ collective work of this scale from the territory of the Slovak Republic. In 1984 it was compiled the Tectonic Map of the Tertiary basement of the inner Western Carpathians (Fusán et al., 1987) along with the text explanatory notes (Maheľ & Malkovský, 1984). The map depicts in detail the tectonic units and their mutual relations in the space covering the Czech massif and the Western Carpathians. 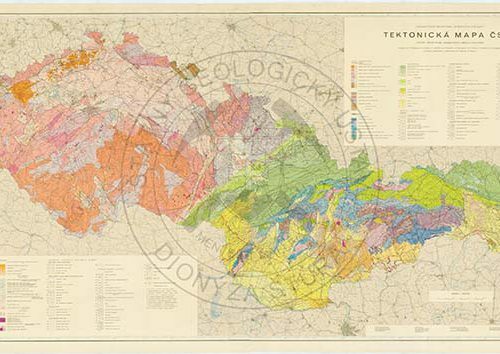 A special status among the geological maps of the given scale has the Tektonická mapa podložia terciéru vnútorných Západných Karpát (Fusán et al., 1987), which along with several other maps were components of the explanatory monograph (Fusán et al, 1987). 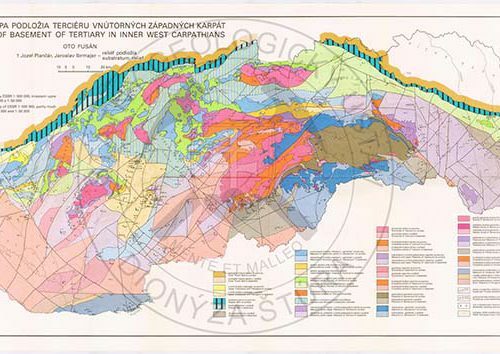 Within the framework of international cooperation among the Geological Institute of D. Štúr, Central Geological Institute (Prague) and Instytut Geologiczny Państwowy (Warszaw) there was compiled Geological Atlas of the outer Western Carpathians and their foreland; the components of the Atlas were the geological (Źytko & Nemčok et al., 1989) and Tectonic (Źytko & Nemčok et al., 1988) maps in the scale 1: 500 000. 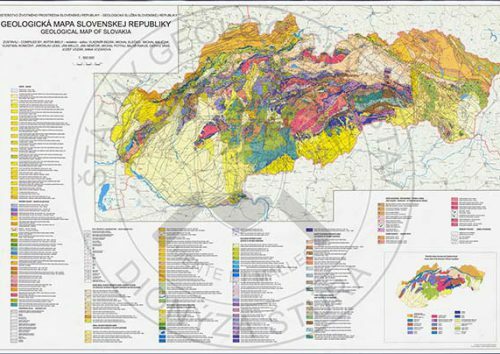 The team of specialists, under the leadership of Biely, compiled modern Geological Map of the Slovak Republic (Biely et al., 1996a) and text explanatory notes to it (Biely et al., 1996b). The map became a part of the published Atlas of Landscape of the Slovak Republic (Hrnčiarová et al., 2002). 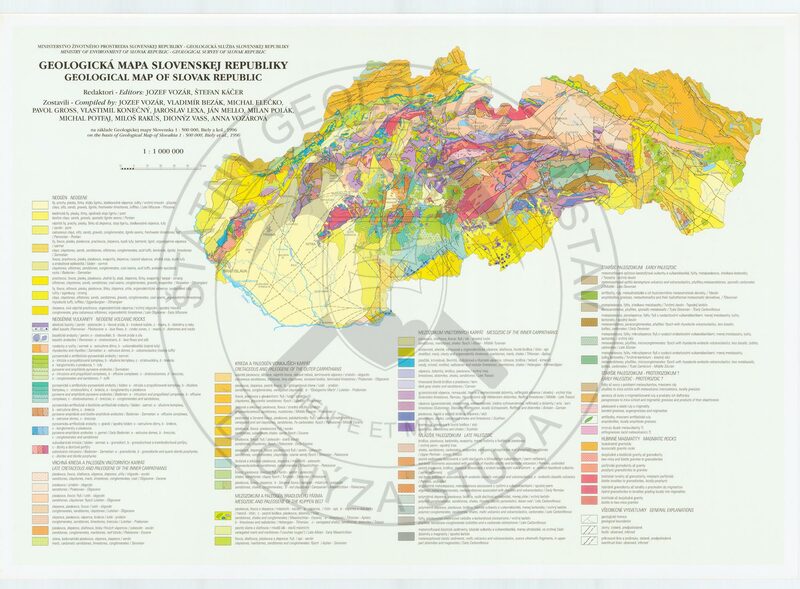 The above geological map of the SR was the groundwork element for the Geological Map of the Western Carpathians and Adjacent territories (Lexa et al., 2000), a common work of our geologists and the colleagues from the Czech Republic, Austria, Hungary, Poland and Ukraine. In 1999, the SGIDŠ Quaternary geologists compiled the first Neotectonic Map of the Territory of the Slovak Republic showing uplift and sinking tendencies of tectonic blocks in the youngest geologic stages of the geological setting of SR (Maglay et al., 1999a) and text explanations to it (Maglay et al., 1999b). 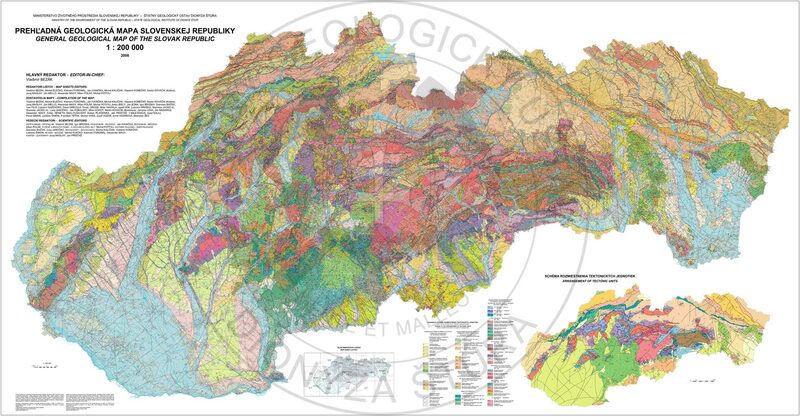 The map is a part of the publication of the Atlas of Landscape of the Slovak Republic (Hrnčiarová et al., l.c.). In the context of the work on the General Geological Map of SR in the scale 1: 200 000, there was compiled new Tectonic Map of SR (Bezák et al., 2004). It reflects the latest findings about the tectonic structure of the Western Carpathians with a new approach to post-nappe sedimentary and volcanic formations division, accounting for their relationship to tectonic processes. 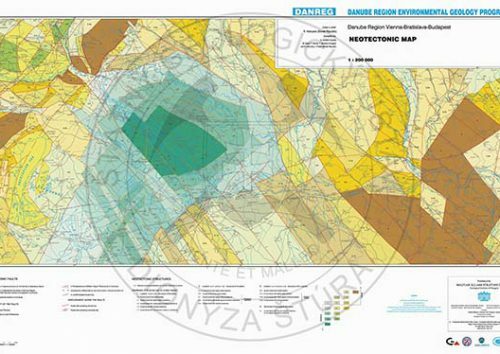 In respect to the new acquired knowledge in dealing with the cartographic depiction of geological setting of Slovakia, which have arisen within the compiling of the General Geological Map of SR 1: 200 000, it would be quite advisable to update the Geological Map in the scale 1: 500 000 (SR). 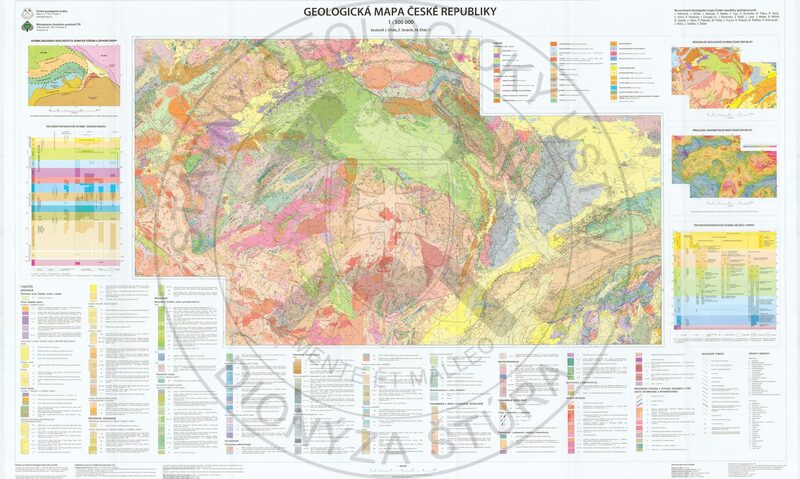 Part of the groundwork documents of our Institute regarding the Geological Map of the Western Carpathians and adjacent territories (Lexa et al., 2000), modified by Lexa and Potfaj, were used to construct Geologic Map of the Czech Republic (Cháb et al., 2007). The SGIDŠ researchers from the Dept. of Quaternary compiled a new modern Geological Map of the Quaternary of Slovakia and Map of genetic types of the Quaternary deposits (Maglay et al., 2009) and text explanation to it (Maglay et al., 2011). The maps of this scale are ranked among the general ones. They were compiled as educational maps for the needs of schools and are part of many (non-cited here) school atlases. According to the geological map of Czechoslovakia (Biely et al., 1966b, its quality has been testified by the fact, that it was released in the 4th edition of ČGÚ Prague in 1993), the Geological Map of Slovakia was compiled for the publication Slovakia 2 -nature (Lukniš et al., 1972). Under the tutelage of UNESCO, within the framework of international cooperation, led by then prominent worker of the Institute, Academician M. Maheľ, the geologists from Bulgaria, Czechoslovakia, Albania Greece, Yugoslavia, Hungary, Germany, the German Democratic Republic, Poland, Austria, Italy, Romania and the Soviet Union compiled a Tectonic Map (Maheľ et al., 1973). 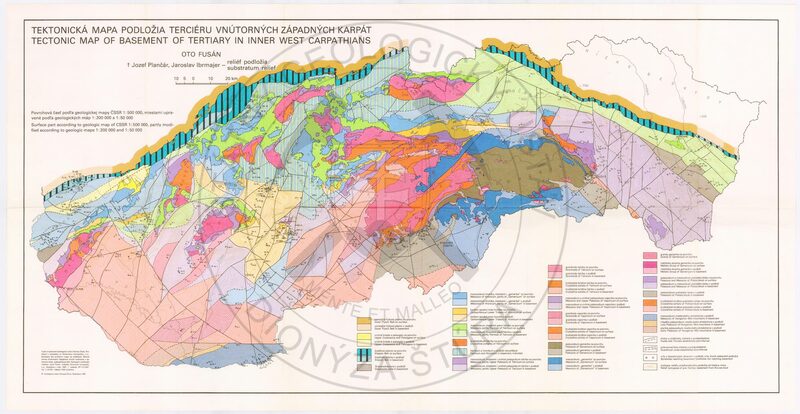 It accounted for the then knowledge about the distribution and interactions of tectonic units across the territory of the Alps-Carpathian Belt, text explanatory notes to it were issued (Maheľ et al., 1974). For the purposes of extensive mapping publication Atlas of the Slovak Republic (Mazúr & Jakál et al., 1980) Maheľ a Konečný compiled a Tectonic Map. 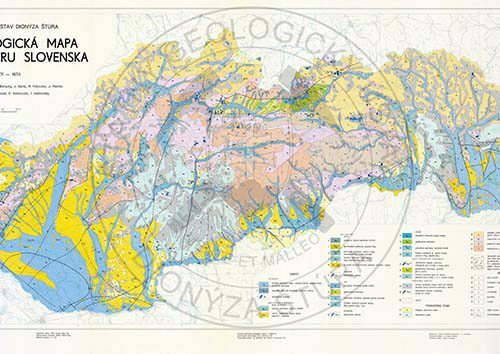 In 1998 Geological Map of the Slovak Republic (Vozár, Káčer et al. ), (2nd page of the map) was published. For the Atlas of Landscape of the Slovak Republic (Hrnčiarová et al., 2002) Maglay and Pristaš compiled the Map of Quaternary Cover. In 2005, there was published an International geological map of Europe and adjacent territories in the scale of 1: 5 000 000 (Asch et al.). 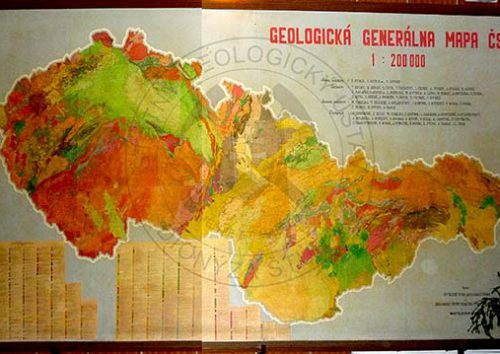 Part of it was the cartographic display of the Slovak Republic, based on the aforementioned geological maps 1: 500 000 (Lexa et al., 2000) modified by Lexa for the needs of a given scale. Geological maps in the era of interactive availability. 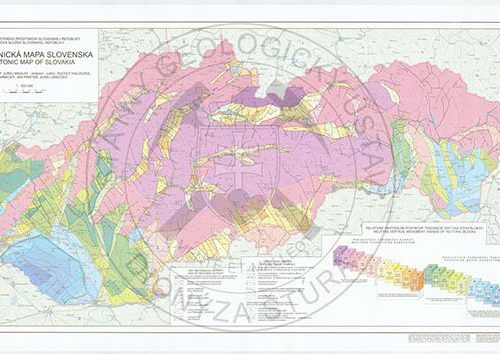 Thanks to the initiative of the Ministry that commissioned our Institute to raise the awareness of the general public about the geology, a group of SGIDŠ experts reviewed the field studies results achieved over the decades, and on the basis of published and unpublished geological maps they compiled a single legend to the Geological Map of Slovakia in the scale 1: 50 000 (Káčer et al., 2005). 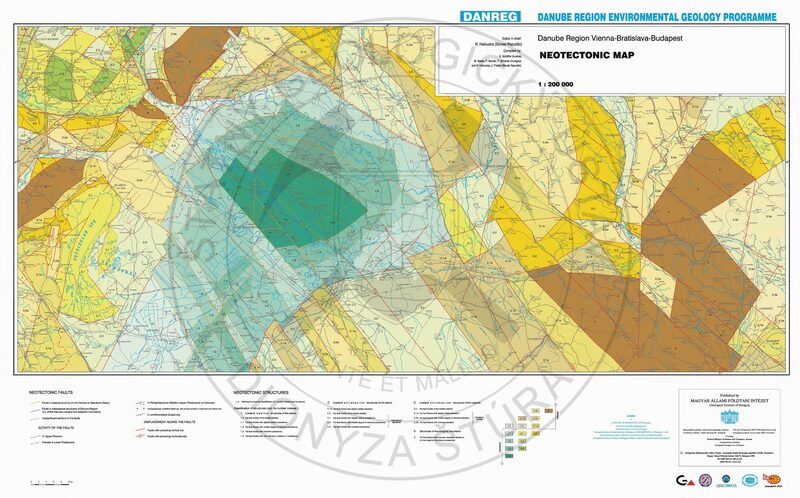 This unique work has been subsequently made available in the form of the Digital Geological Map of the Slovak Republic in the scale 1: 50 000 and 1: 500 000 on the SGIDŠ portal (www.geology.sk) in the section of the Map Server. In the compilation of the digital geologic map significantly stepped to the forefront varying level of geological map processing, drawn up by the then available scientific methods and disciplines. For the first time the issues could be defined related to combining the so far published geological maps, compiled in different time periods. 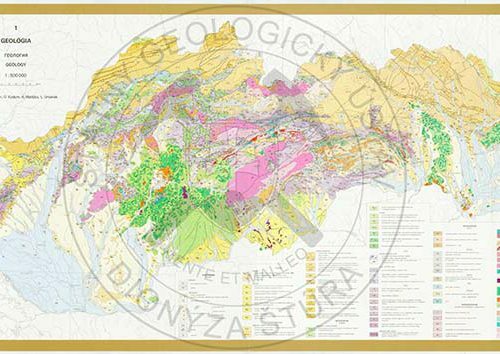 This is highlighted on the attached information layer of the quality of geological materials, based on which the geologists-specialists elaborated the map manuscripts. This has revealed the need of new processing of problematic parts of the territory depicting the geological setting of SR. 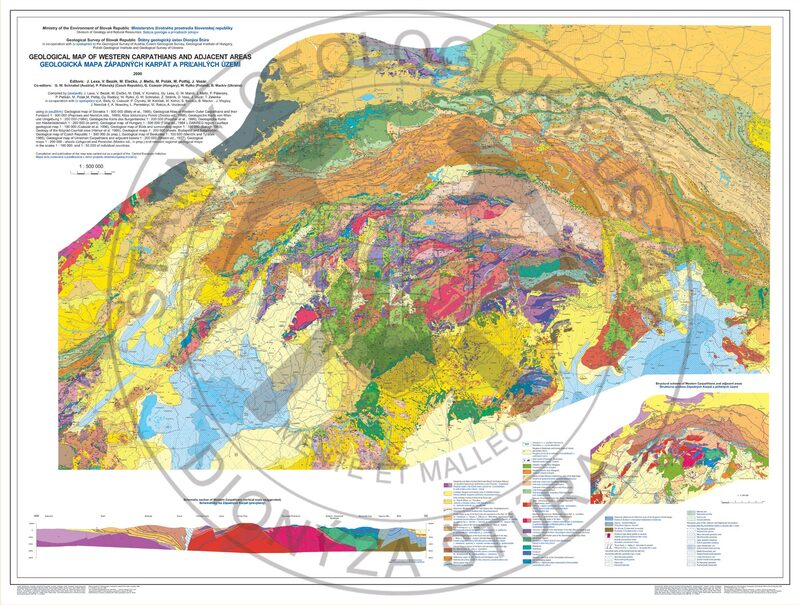 It is important to realize it because to the geological maps are closely linked and directly from them are derived other mapping works – palaeogeographic maps, maps of sediments thicknesses, geological-educational, geophysical, hydrogeological, engineering geological, geothermal, mineral deposits maps, geochemical maps, landslide maps, map files of an environmental nature, etc. Many of them, non-cited in this review, were assembled as part of the Atlas of Landscape of SR (Hrnčiarová et al., 2002) and are available for professionals and non-specialists on our Web site on the Map Server or can be purchased or ordered in our Publications Shop. From the above review it follows that the modern geological map is not or cannot be finished forever as ideal mapping work. It is only a reflection of the level of knowledge, to the year of its creation. The scientific progress is on track as a rapid stream, and this is valid for geology, as well. Geology, however, as one of the few disciplines, cannot exist without a field research. The need to physically verify the new outcrops always arising in the increasingly developing constructions, whether in-line structures (roads, tunnels, pipes) or in the acquisition of new samples, for example, in the implementation of the geothermal wells, is a pre-requisite for progress. New data have to be included in the above map information system conducive to the constant knowledge of good practice in all areas of research and exploration of our territory. Only the field verification of files of rocks, samples taking for detailed research and refinement of newly acquired results will contribute to the more-accurate perception of the geological setting of the Slovak Republic, whose primary output is updated geological map. 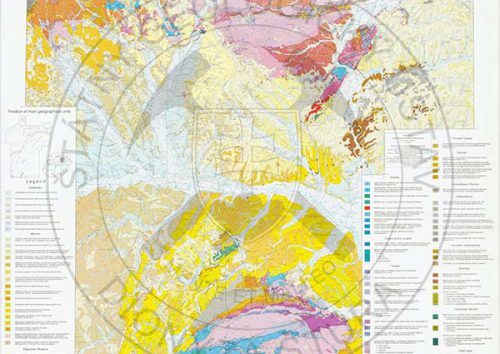 The geological map is the most important document upon which all the products of geological disciplines are overlapping. Without it, they would have found themselves in the „air“, with no real base. No matter whether it is a characterization of near-surface rock masses providing the environment for potable water sources, or deeper structures in which mineral waters generate or geothermal sources. 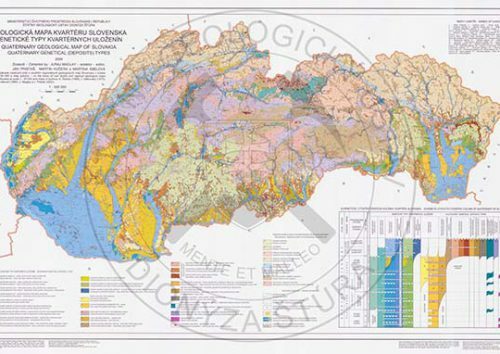 The engineering geological and hydrological phenomena are concentrated in the uppermost sphere of human activities in the rock environment and the territory susceptibility lto andslides or flood vulnerable areas could not be assessed without a geological map. 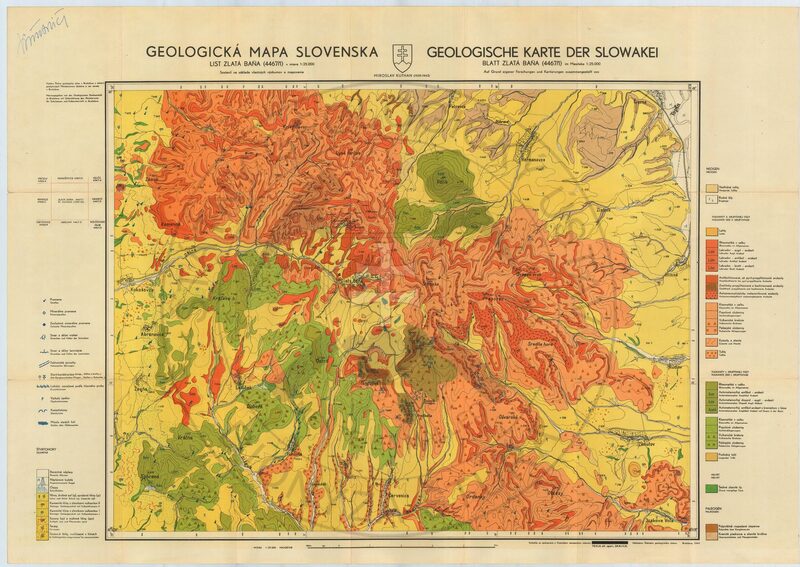 Although most of the geological maps and pretty much all the publications cited are from my archives, my thanks go to my colleagues from SGIDŠ – in particular, Dr. Buček and Dr. Havrila, for borrowing the oldest published geological maps, Dr. Fordinál and Dr. Maglay for providing the latest map works, Dr. Gluch for the selfless contribution by the maps scans of the first edition of the 1: 200 000 and Mr. Filo for his kind and at the same time critical assessment of the content of this contribution. 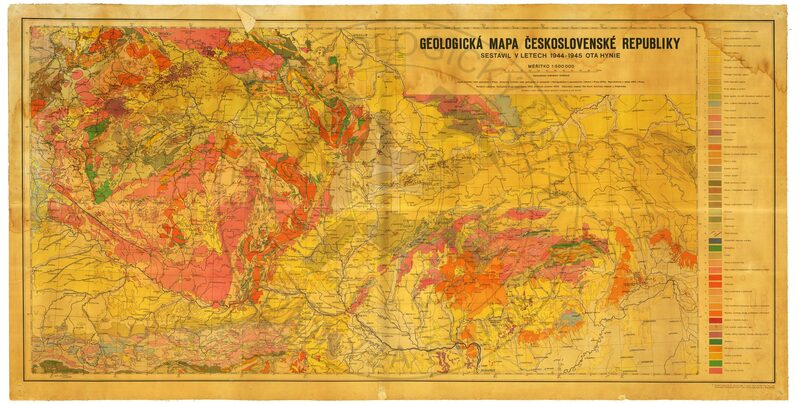 My thanks go to the Central geological Library of the Slovak Republic, SGIDŠ, storing the publications and geological maps, to Mrs. Remžíková for her supply of non-folded maps and the SGIDŠ management for a kind permission given to Mrs. Kuchárová to prepare the map scans and their annexes and Mgr. Szatlmayer for graphic and technical work when placing the documents on the SGIDŠ webpage. And of course I thank to Dr. Martinský for his cooperation, for graphic design and location of our common contribution on the SGIDŠ webpage and Dr. Liščák for the English translation of the original Slovak text.